I’ve been a big fan of bullet drop compensators (BDC) in riflescopes ever since I was issued my first ACOG scope in the Marines. In my experience, there is no better optic to pair with a practical carbine than a low magnification scope with a BDC reticle. Despite this, bullet drop compensators have led to a lot of frustration for me in the past, not because of their design or how they’re used, but because of how they are often perceived. Most people seem to be on extreme ends of the spectrum when it comes to BDC reticles and scopes. There’s the crowd that sees them as unreliable gimmicks, and, on the other end, there are those who think they are essentially magic. The truth of the matter lies somewhere in the middle. Today we’re going to talk about some limitations of BDC reticle scopes and, also, why they might be more useful than you may have thought. Before we get too involved, we’ll want to cover the basics. BDC scopes work by using a reticle pattern that predicts how much a bullet will drop at a given range. This is illustrated in the reticle by several different aiming points stacked vertically beneath a central dot or crosshair. The idea is that, when your rifle is zeroed a certain range, usually 100 yards, the other aiming points will correspond to the bullet’s impact at longer ranges. Range increments are typically 100 yards for centerfire scopes and 50 yards for rimfire models. In practice, BDC scopes can make shooting over vastly varied distances a breeze. See a target 400 yards away? No problem, just aim using the 400 yard reticle and squeeze the trigger. Not having to adjust the scope’s elevation whenever the distance to the target changes makes BDC scopes incredibly useful for practical applications, such as hunting or tactical carbine competitions. Also, since you aren’t constantly adjusting the scope’s elevation knob for different ranges, there’s no risk of goofing up and having the wrong elevation dialed in when it comes time to take a shot. With these benefits in mind, it’s little wonder that we’ve seen a massive increase in BDC scope use, starting with the success of the Trijicon ACOG and continuing into the present day, where almost every major optics manufacturer produces some kind of BDC scope. 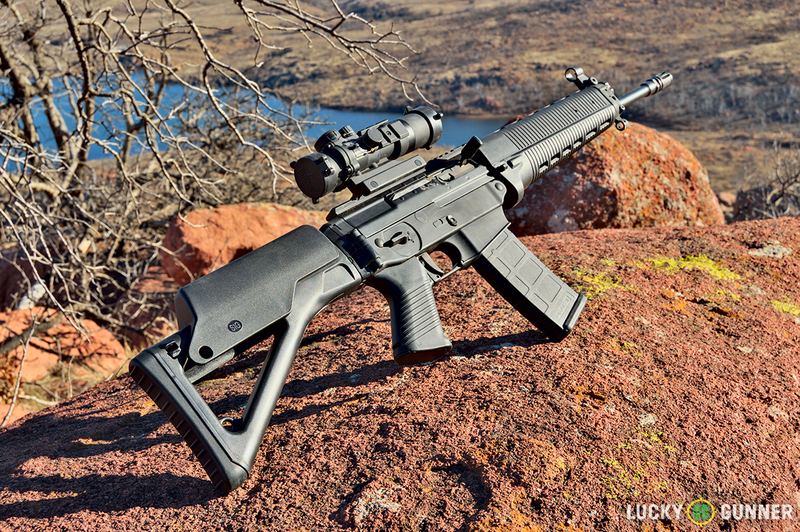 The Trijicon ACOG ushered in the era of the low magnification BDC carbine optic. Versatile and rugged, these scopes and others like them will be serving militaries around the world for decades to come. Unfortunately, there’s a reason why BDC scopes fall short of absolute greatness for a lot of shooters. The main problem is that BDC reticles offer a generalization of bullet trajectory and can only estimate bullet drop in specific circumstances. This is because there are a ton of factors that determine a bullet’s flight path. 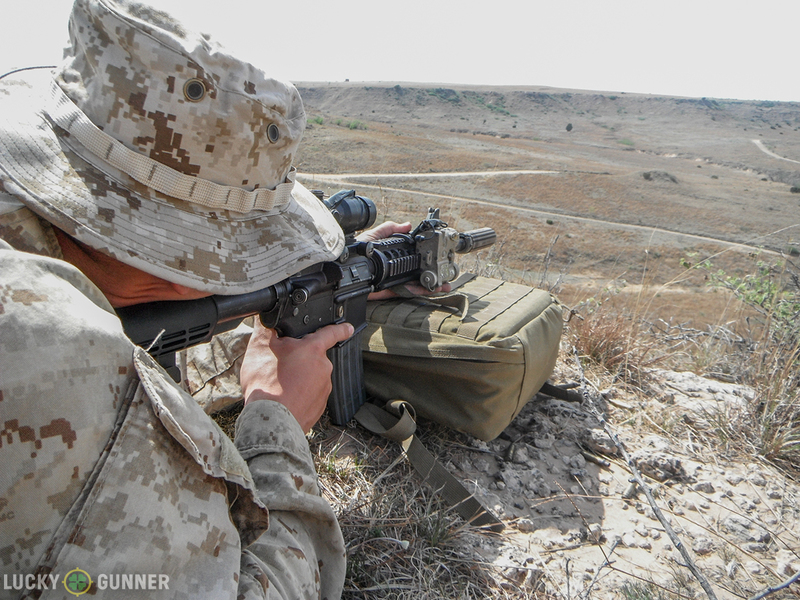 Things like muzzle velocity, bullet type, and altitude will affect how quickly a bullet drops as it flies downrange. This means that, to get the best performance out of your BDC scope, you’ll have to use the same barrel length and bullet type that the scope was designed for, and, for maximum accuracy, you’ll even need to shoot at the same altitude that the BDC was calibrated for due to differences in air density. When you consider these drawbacks, it becomes pretty clear why BDC scopes initially found favor in the military where rifles and ammunition are more or less standard across the board. Even the recent surge of civilian-oriented BDC scopes caters primarily to the .223 Remington round and AR-15 shooters. But, is military application really the only time BDC scopes can truly shine? 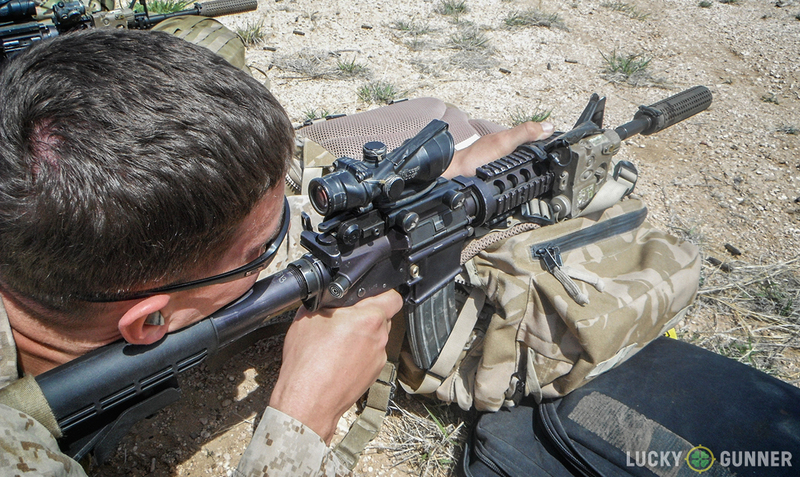 The truth is that BDC scopes are versatile, user-friendly, and are often only limited by the guns they’re mounted on. Getting the most out of a BDC reticle requires just a little bit of effort and an open mind. First things first; if you want to push your BDC scope to the limit, you’ll need to recalibrate your brain a little. The primary gripe that shooters have when it comes to BDC scopes is that the reticle doesn’t accurately predict the strike of the round at distance. Due to the factors I previously listed, bullets might hit above or below the corresponding aiming point for a given extended range. The thing that most people overlook, though, is that the BDC is still a useful indicator of bullet trajectory; it just happens to be for a different distance than originally designed. Low magnification BDC scopes are perfect for general-use carbines like this Sig Sauer 556 Classic. Most shooters are too wrapped up in the mentality that shooting only occurs at even multiples of 100 yards. The problem is that most practical shooting, the kind of shooting BDC scopes are built for, doesn’t happen like this. That coyote isn’t going to wait for you out at 200 yards exactly; that buck doesn’t care that he’s standing 339 yards out; and any carbine or 3-gun stage designer worth his salt isn’t going to set those poppers up at 400 yards on the nose. So, when we consider the fact that our targets often don’t exist at 100 yard intervals, it becomes rapidly apparent that a BDC that predicts bullet impact at perfect 100 yard intervals isn’t necessarily all that useful. In essence, an “inaccurate” BDC is just as good as a perfect one in real-world application so long as you know the range the bullet will hit for each given aiming point. 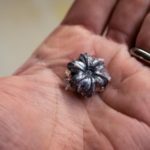 To take the point a little further, it doesn’t even matter if your bullet drop compensator is calibrated to the bullet type, or even the caliber that you’re shooting. It can still serve as a useful indicator of bullet trajectory, and allow for accurate shooting over extended ranges, provided you gather a little information on the range, just as you would have to with any other scope. To properly relate your BDC scope’s reticle to your particular rifle and bullet choice, all that is required is for you to go to the range and confirm your rifle’s point of impact at various distances. This can be done by simply shooting paper targets from near to far at the different ranges the scope’s reticle is calibrated for. Shooting near to far ensures that your impacts won’t walk off paper too quickly if there is a mismatch between your reticle and your bullet’s trajectory. Targets can then either be moved forward or backward in intervals of 10 yards until the point of aim coincides with the point of impact for each aiming point. When the rounds are striking center, this is the range you need to associate that particular aiming point with. Sure, it may end up being something weird like 320 yards, but it will still give you an accurate reference point to make fine “hold-off “adjustments from. Ideally the impact of your rifle’s bullet will correspond to the reticle as shown on the left. Unfortunately, different bullet and barrel combinations will change the trajectory substantially and your shots might hit as shown on the right. The point is that the BDC’s utility isn’t decreased, as it still offers good information about the bullet’s flight path at extended ranges. 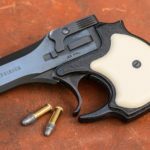 An alternative method for tech savvy shooters is to simply measure how far off the bullet impacts are at any given range and compare that to a customized ballistic trajectory graph of their rifle and load combination. The rate of drop near the appropriate yard line will allow you to determine where your target needed to be for those bullets to strike center. Additionally, some scope manufacturers such as Nikon and Vortex Optics offer free software that calculates custom range values for their BDC scopes based on user data for individual rifle and load combinations. The author shooting an ACOG-equipped M4A1 at ranges exceeding 600 yards during advanced marksmanship training. Whether you’re plinking, out on a hunt, or planning to run and gun your way through a tactical carbine course, BDC scopes offer compelling versatility and practicality, and should be considered as a viable option when choosing your rifle’s optic. The benefits of hands-free elevation adjustments in field conditions can hardly be overstated. It may take some effort on your part to understand how specific load and rifle combinations interact with the reticle, but that effort is well worth it when seconds count and you need accurate shots downrange.